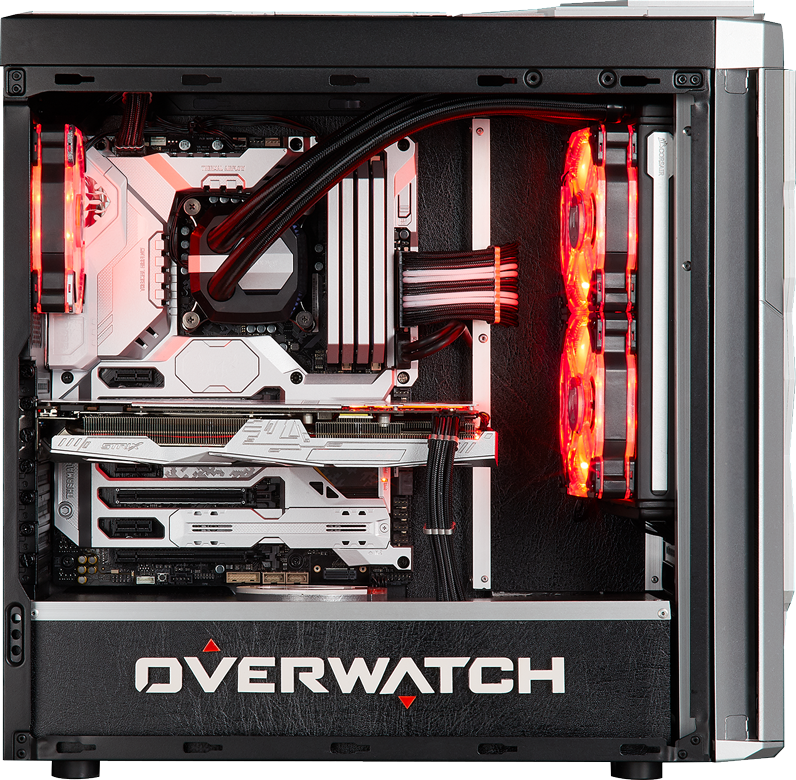 Cleanly cut, this custom Genji build by Ronnie Hara portrays the cyborg ninja through his choice of components, exterior paneling and red accents. Packed with the sleek Dominator Platinum, H100i V2 and ASUS ROG Strix GTX 1070, this build is as fast as it is sharp. To top it all off, both front and back panels have specially made and mounted acrylic Dragonblades.